Since running a vacation rental business can take over the working week, it may be difficult for vacation rental managers to catch up with the latest industry news. 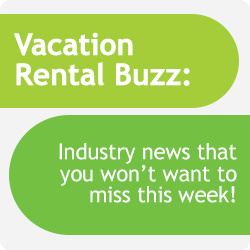 To keep vacation rental managers in the know, we thought we'd compile together a digestable list of some of the news buzzing around the vacation rental industry. As well as the incredibly educational VRMA Annual Conference earlier this week which Kigo has just returned from, it has been an exciting 7 days for the vacation rental industry. Expedia's decision to partner with HomeAway, the rise of U.S online vacation rentals, and HomeAway offering commission-based rentals, have taken the spotlight this week in vacation rental industry news. As you may know, HomeAway originally only offered an up-front subscription based model. This meant that vacation rental managers would have to pay a set fee regardless of whether they take any bookings. HomeAway's decision to include a pay-per-rental commission is great because it offers holiday home managers that are new to the industry, a cost effective solution when testing the waters. In addition to their new pay model, HomeAway have also introduced a Professional Referral Network. Working with third parties, the vacation rental manager can get help with things like maintenance of the property to help with creating an effective listing. PhoCusWright released another great infographic on the vacation rental industry. This one takes a look at the rise of U.S online vacation rentals and how they have created a vibrant online segment of the travel industry. It highlights that in 2012 nearly 3/4 of vacation rental guests booked online and predicts that by 2014, three in ten U.S dollars spent on vacation rentals will be online. Bearing these statistics in mind, it is so important for vacation rental managers to be well equipped when it comes to online bookings, e.g a vacation rental website and fully functioning reservation system. Travel engine giant Expedia partnering with the world's leading vacation rental provider HomeAway is exciting news for the vacation rental industry. The plan to include vacation rental listings on Expedia is expected to go live in 2014, starting in the US and Mexico. This is just one more great step to making vacation rentals available to the world. With the rise of sites like AirBnB, vacation rentals have been pushed into the spotlight and appealed to a larger sector of the travel industry than in previous years. Expedia, who are aware of this change, have made an excellent marketing move in partnering with HomeAway. Matt Landau's incredibly insightful Vacation Rental Marketing Blog provides yet another marketing secret for vacation rental managers. He claims that in 2 minutes and one decision, a holiday home manager can increase annual profits by 10%. You do however, have to unlock the article so we won't give away the answer! Although this article can be applied to some vacation rental businesses in the industry, it may not work for all vacation rental managers. At Kigo, we always encourage a variety of marketing techniques to increase bookings. We have lots of tips on our free marketing resources page. Cottage Blogger wrote a really useful article including 15 tips to preparing a property for the festive season. It is important for vacation rental managers to set time aside to update the property according to the season, this will work to increase bookings. The 15 tips can act as a good to-do list, including simple things like tidying any board games to safety precautions like checking smoke alarms.